IPWL have added an automated pipe cutting machine to their Firefly range. The equipment is based on the proven technology and running gear of the popular Firefly welding machine. Accurate and high speed cutting is possible with the cutting carriage running on a track mounted to the workpiece. 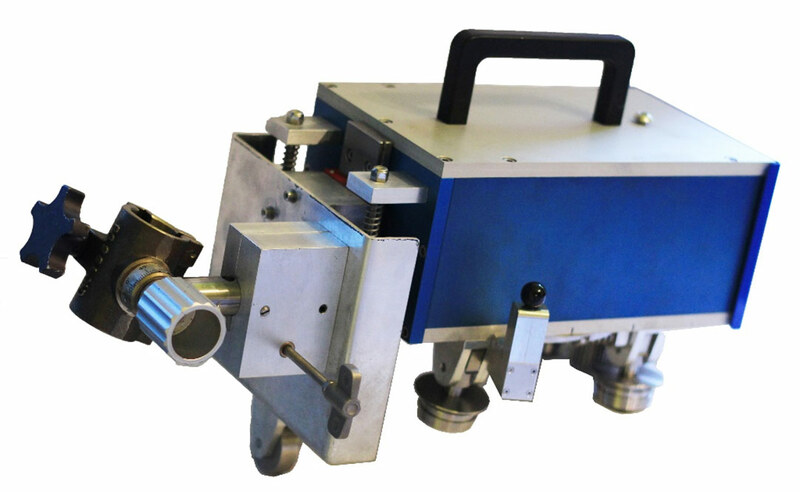 Firefly cutter is designed as a rugged and robust machine for use in demanding field environments. Durability is built in with a chassis constructed of 10mm aluminium, a high specification drive motor and quality connectors. The compact machine is easy to handle with a lifting weight of just 9 kg. The carriage is securely fixed to the track using the same tried and tested mounting mechanism design inherited from Firefly orbital welding machine. This stable set-up enables cutting speeds ranging from 1mm per minute to 2500mm per minute. Although primarily intended as an orbital cutting machine, the equipment can also be used on a flat, curved or elliptical track. All tracks are compatible with both Firefly welding and cutting machines. The versatile cutting torch holder will cope with oxy-acetylene and plasma torches from all manufacturers. The adjustable head is designed to ensure all cutting angles are possible. The cutter operates from a standard Firefly welding machine control box. Direct 110V or 220-240V versions are available. A digital version with a speed indicator is also available. The video footage below shows the Firefly cutting machine being used by local labour on a work site in Panama. The workpiece is X60 grade steel with a diameter of 2200mm and a wall thickness of 20mm. The cutting process used is oxy-acetylene. Get smart – check out Firefly... the clever way to weld! Firefly is available to purchase or systems can be rented with, or without, an operator. Help is also available with weld procedures and welder qualifications. Full installation, training and support is available. If you would like to learn more about how Firefly can keep you ahead of the competition, please contact us. Considering orbital equipment for a welding project? What does a typical welder look like these days?